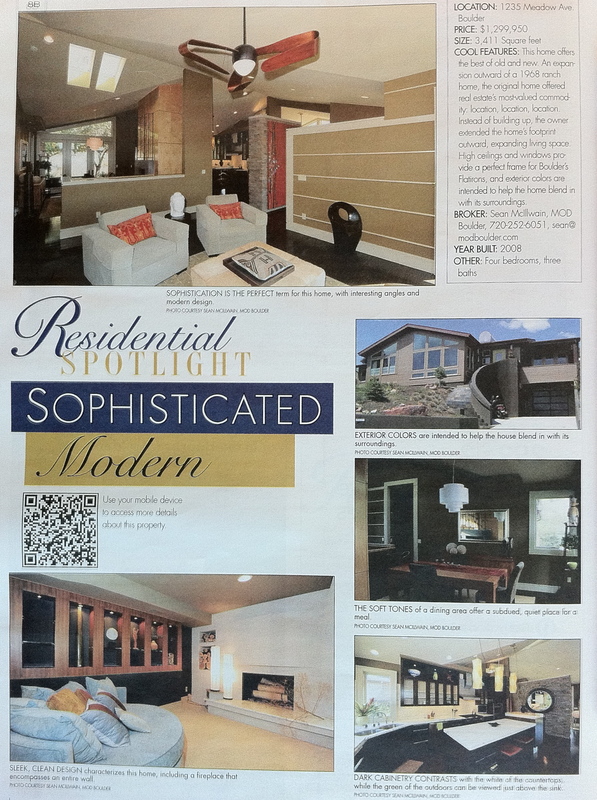 Mod Boulder’s listing at 1235 Meadow Avenue was selected as Boulder County Business Report’s (BCBR) Residential Spotlight home (July 8 issue). The Distinctive Homes pull-out section is a new addition to the BCBR that focuses on high-end homes (above $750,000) in the Boulder area. Often, real estate publications can be a bit dry and full of Realtor lingo; however, the editors of the Distinctove Homes section have really pulled together some great interviews and insights that paint a true picture of current, local real estate trends.